Ramphis Castro, no relation to the Cuban leaders, is a Kauffman Fellow and founder of Mindchemy, a startup bringing technology entrepreneurship to the developing world. He is also managing director for Founder Institute NYC, the world's largest idea-stage accelerator. A recent event at Havana's Panorama Hotel provided a unique view into the future of Cuba. Some 50 would-be business owners attended Cuba's first-ever Startup Weekend, listening to presentations, holding workshops and refining business models. Listening to the young entrepreneurs in attendance reinforced my conviction that Cuba is a huge opportunity for venture capitalists. Over the next decade, U.S. venture capitalists will likely fund hundreds of projects in Cuba, finding a way to bridge infrastructure shortcomings and to work with the Socialist government to help foster a new age of economic prosperity. If that sounds overly optimistic, remember Vietnam. After a long war that ended in 1975, Washington cut off relations with the Communist government of Hanoi until 1995. Since then, the economy has flourished and venture capitalists, including U.S. firms, have invested heavily there. American companies have poured $11 billion into more than 700 projects in Vietnam, ranging from manufacturing to hospitality. Intel (INTC), Ford (F) and Microsoft (MSFT) are among the U.S. corporations operating in the Communist nation. Venture capitalists seeking an opportunity that could rival the type of explosive growth seen in Vietnam need look no further than to Cuba. The seeds of that growth could be seen in the resourcefulness and enthusiasm of those at Startup Weekend Havana. The event was organized locally by a grassroots effort and was like others held in places such as Myanmar, Afghanistan and Palestine. Early-stage venture capitalists want to see two things: the pool of talent and the need for a given solution. Cuba has both in spades. In Cuba, the pool of talent is deeper than in most of Latin America thanks to a free education system that boasts more than 47 universities and 400,000 students. A report by The World Bank credits Cuba with the best education in Latin America. The need -- or problems new businesses will address -- is clear after more than a half century in which the economy has been largely isolated. Cuba lacks basic infrastructure such as reliable Internet and even supermarkets, meaning the opportunities for new businesses are boundless. Everything from food to entertainment to transportation is needed in Cuba. One entrepreneur at Startup Weekend Havana pitched an app to locate a pharmacy that has the medication you need in stock. There are opportunities to create companies offering everything from taxi services to dating platforms to concert listings. 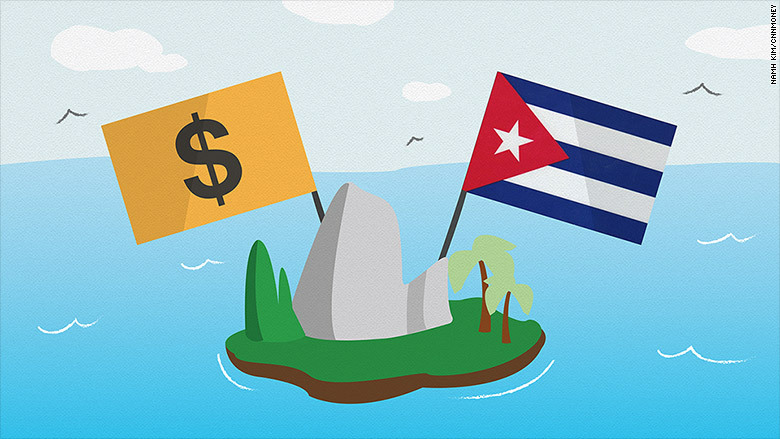 Financial services in Cuba are largely informal and present a huge opportunity for businesses that can make finance on the island more sophisticated. Cuba is a leader in organic farming and non-GMO agriculture, as isolation has meant an absence of genetically modified seeds. Businesses that can use technology to scale these operations. Tourism technology that connects people with experiences and services is another strong area for investment. Venture capitalists can visit Cuba, traveling under one of the 12 exceptions approved by the U.S. Department of State. Once there, you can get the lay of the land, seek out entrepreneurs who have been successful in small, state-approved (generally cash-only) pursuits, and begin to understand the opportunities and challenges ahead. Anyone doubting that a hearty breed of entrepreneur exists in Cuba should acquaint themselves with El Paquete, or The Package -- a weekly hard drive that costs five Cuban pesos and contains the latest TV shows, music, movies, apps, magazines and news. Subscribers have 24 hours to download what they want before the hard drive is picked up the next day. That's just one example of how for half a century Cubans have navigated the technological and logistical challenges of a primitive economy that has been semi-isolated by a U.S. trade embargo, as well as by Cuba's own restrictive policies. Those lucky venture capitalists who visit Cuba will be like the Americans who went West during the Gold Rush, pioneers on one of the last wide-open frontiers of capitalism. Helping entrepreneurs successfully navigate such difficult challenges is what we do.